Spectrum is the brand from Charter Communications; an American telecommunications company serving over 25 million customers in 41 states. The company provides television, Internet, voice and home security services. As one of the largest brands in the industry, one goal of Spectrum home security and most companies in this space is offering peace of mind. The day of simple lock systems or latch systems protecting the things you find valuable are a thing of the past. While areas see decreases in crime, there’s still crime in select areas. This could be a reason for the expected growth in the security industry expects to exceed $100 billion by 2020. As one of the leading companies in this space, what does Spectrum home security offer? And, what happens if you have concerns about the products? But first, let’s inspect what’s available. You want to secure your home and belongings, so what products and services are available from Spectrum home security? First, when you look for products and services, you’ll notice the brand is IntelligentHome. They consider this service the “next-generation” security and home management system. You can customize your plan to fit your security needs. You can’t have a service without the products. So, what IntelligentHome products are available? The first thing you must do is see if this service is available in your area. Even if there are benefits to using Spectrum home security products, if there’s no service, there’s no service. The primary concern we’ve found was the total cost [bold]. Customers can’t get a clear idea of what they’ll spend, because the price for all areas isn’t listed. Someone’s home security shouldn’t be a joke! So, you’ve invested in Spectrum home security products and services, and you’ve encountered a problem, how do you troubleshoot? This is the first section you’ll see. Here is where you’ll see how your system works, mainly the products. You can even download the IntelligentHome app for more options for your service. Whom do I contact if I need help with my IntelligentHome service? How do I arm and disarm my IntelligentHome security system? What happens if I trip my panic alarm? How do I reboot my IntelligentHome security camera? Does my IntelligentHome system work if there is a power outage? You can read step-by-step how to fix your product. When all else fails, you can reach out to the customer service department for help. You can use the chat feature, call the hotline, or visit a local store. You can also sign in to your account and check the connection status of your equipment and use the self-help troubleshooting features. While Spectrum home security offers a troubleshooting guide, you deserve more! If you’ve invested money into a home security service to protect the things you love, your troubleshooting guide should be equally impressive. So, ask yourself what the options to get the best product, with the support I NEED are! You always have options for a dependable product with the support you need; [bold] whether it a self-help guide or reaching out to a live agent. When we think of what’s important to you, we want what’s best for you. For more than 25 years, Protect America has been a leader in the home security industry. Starting out from humble beginnings in the early 1990’s, we’re now the 14th largest residential home security company in the U.S. Plus, we’ve earned the Consumers Digest Best Buy award for eight years. 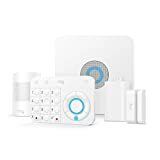 Simple & Affordable Home Security starting at $30/month. You can see, we’re committed to our customers! Are you ready to protect your loved ones? Request a free quote today!